Ten days ago I packed my winter clothes of Scotland into storage boxes and readied my suitcase and suncream, heading on international posting to Design Indaba in Cape Town. 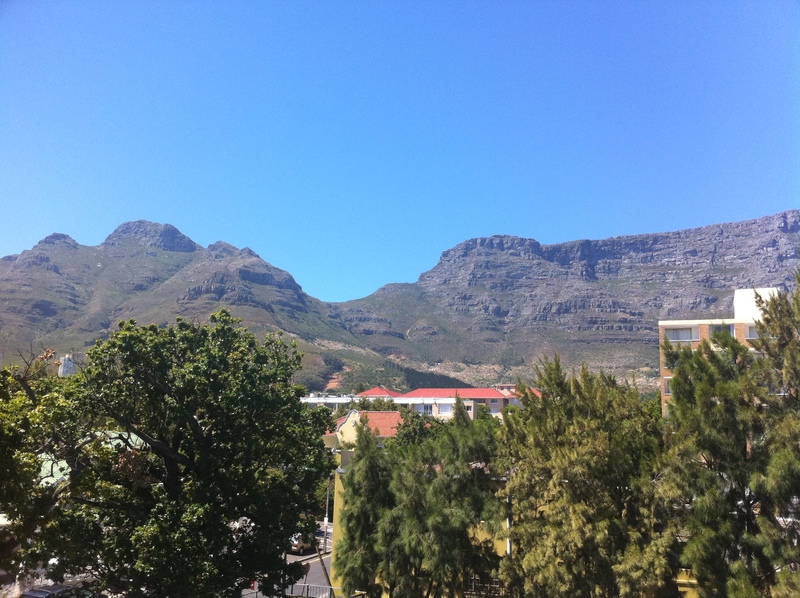 I now find myself in a leafy, friendly office with windows blinking up at Table Mountain, ceiling fans cooling the open spaces and a miniature putting green on the roof terrace. Jetting in from across the planet, dozens of the world’s top creative minds spend a week in Cape Town, sharing their stories of how they do what they do. They inspire an audience of 3,000 delegates, from the worlds of art, music, film, fashion, craft, architecture, graphic design, product design and much more. The talks are also broadcast live to 12 venues. Think TED, with a focus on speakers who had used their creative power to change how the world is perceived. And all in the stunning, summery setting of Cape Town. Design has a refreshingly broad definition here in South Africa – I love that we’re talking about design as creation, in all its many forms. I find myself thinking of the Scots word Makar, meaning creator. Maker. Crafter. Writer. Designer. A natural accompaniment to the conference is the Expo, a combination of trade fair and exhibition where the public mixes with industry buyers as they browse through the pop-up shops and displays from over 350 South African designers and makers. The Expo is accompanied by a wide programme of workshops, demonstrations, fashion shows… There’s even a Film Festival running during the two weeks leading up to the conference and Expo week. Design Indaba Expo 2010 from Design Indaba on Vimeo. Once the sun goes down, the partying commences – Design Indaba believes in having fun, and each night is a whirlwind of parties and gigs featuring an array of big names and breakthrough South African bands. Official closing time of the Thursday night gig is 4am. Sleep is not part of the programme. Among other things, I’ll be project managing the Design Indaba opening night event – I can’t wait to tell you all about COMMON Pitch: South Africa. ^ My new desk at Design Indaba. Welcome Anna – it’s nice to have you working with us!